Baby Shower. It's a Girl. Flying Buddies. Any theme. Custom Pastel Colors. Organic garland tree. Princess Sofia Themed Castle Arch. Flying Cupid Buddy. 3' head size. 7' x 7' Minnie Mouse wall. We can design a Mickey Mouse one too. Flounder centerpiece from the little mermaid. Baby Shower Girl Pink Zebra. The Good Dinosaur kid's size pic frame. Under The Sea Large Pic Frame. Balloon Decorations for special occasions/events/parties - Birthday parties, Baby shower, Bridal shower, Family event, wedding, ribbon cutting, and corporate, etc.. If you are looking for creative ways to make your party beautiful and stunning I will do everything I can to help you meet your needs for a great party/event. My balloons are more than balloons, I make art with them for your special celebration. I use the highest quality products from Qualatex - 100% biodegradables latex balloons. Through my Decor Service, Expect only the best! With an eye for Detail, A Creative Mind, Hard Work and Passion for the Hobby sure will be an eventful of very highly impressed guest. Contact me now to Book Only the Best for your Best Event Decor Servicing! I have always enjoyed making crafts and being creative. I began making simple balloon decor some years ago at my children's birthday parties, I really started to enjoy making them and found I was a natural at it. I then decided to get serious about it as a business as I started getting asked by people if I would make items to sell, as I learned new techniques, I expanded to make sculptures and twist characters. I have made arches, columns, and walls for birthdays, also a Stage Decoration for the Christmas program at my local Elementary School. I am constantly learning new balloon art. I am always striving to make my best better. Our decor can be set up indoors or outdoors depending on the style, size and location. Certain venues require additional safety measures for large arches, columns and tall centerpieces that take into account environmental effects on the decor. Our skilled balloon artists are trained to adjust any decor to acomodate our clients needs and expectations. An additional charge may be added depending on the venue. We will do everything we can to accommodate your request. Balloon Arches are very attractive and will enhance any party. They fill large spaces and are ideal for dress up an entrance or create a point of focus for your head table, banquet table, etc. We also offer a variety of very dramatic ribbon-cutting effects with arches! Balloon Columns fulfill more or less the same function as the arches. Ideally, they should go in pairs especially if they are going to be used to mark a head table or decorate an entrance. Balloon Walls will transform your regular wall into an attention-grabbing space, aside that they could be used as photo backdrops, they will add a touch of elegance to your special occasion. Balloon Sculptures add a dramatic impact to any party or celebration. No matter what the theme of the event, we can create the perfect sculpture from the smallest of table top creations to life size decor. Balloon yard numbers celebrate any birthday in a big way with a 8 ft tall birthday number. These sculptures are fun and colorful and are easily notice by everyone that passes by. Let us know your party theme. We can create unique and custom designed centerpieces and decor to match any theme you want. Our classic & formal balloon decor add color and excitement to any celebration. Arches, columns, Sculptures these are just a start. 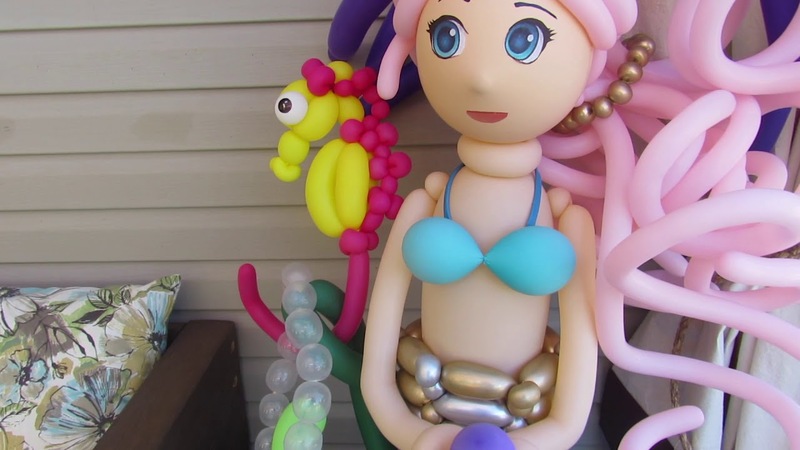 karla lopez Balloon Artist -creates decorations.